Exemptions are available for companies that make minimum statutory investments that either create or retain a certain number of jobs. These exemptions require a business to make application to, and be certified by, the Illinois Department of Commerce. The cities of Champaign, Urbana, and the Village of Rantoul each administer an Enterprise Zone. The Urbana Enterprise Zone provides financial incentives including property tax abatements and sales tax exemptions to eligible residential, commercial, and industrial construction within the Zone. Think Urbana is a program of the Urbana Enterprise Zone. Foreign Trade Zone 114 is a multi-modal zone (rail, air, river, road) serving the West Central, Central and East Central Illinois Region, providing over 2 million square feet of warehousing and distribution space available for General Purpose Zones usage and four Sub-Zone sites. Learn more about the Village of Rantoul’s Foreign Trade Zone. The Employer Training Investment Program, or ETIP, was first authorized by the Illinois State Legislature in 1992. The program is designed to assist Illinois employers in providing training to full-time employees, which increases capacity, builds a stronger workforce, and creates a more competitive business climate in Illinois. The Illinois Manufacturers’ Association has announced receipt of an ETIP grant for fiscal year 2019 through the Illinois Department of Commerce. The grant term will be July 1, 2018 through December 31, 2019. All training that occurs during this time period may qualify for reimbursement based on eligibility requirements. Participating companies must have a physical location in the state of Illinois and agree to train only their full-time Illinois based employees. Each participating company must complete a company profile identifying the company location from which their employees will be participating and schedules detailing all training each company has completed. The schedules must include number of participants, dates of training, and cost of training. Grant funds may be used to cover no more than 50% of actual approved expenses related to the training for a company’s full-time employees. Participating companies are required to fund a match amount of the remaining 50%. Tax credit amounts are calculated on a case-by-case basis. EDGE credits are processed on an annual basis, for up to 10 years, based upon employment ramp-up plans outlined by the business and agreed to by the Illinois Department of Commerce. View the EDGE reporting requirements. There are multiple Tax Increment Finance Districts (TIFs) in Champaign County. TIFs provide a means in which communities can financially assist in the development or redevelopment of an area which qualifies for state TIF criteria. Tax increment is the difference in the tax revenue generated before the property is developed or redeveloped and the tax revenue generated after the improvements have been made. The Illinois Angel Investment Tax Credit Program encourages investment in innovative, early-stage companies to help them obtain the working capital needed to further their growth in Illinois. Investors in companies certified as Qualified New Business Ventures (QNBVs) can receive a state tax credit equal to 25% of their investment (up to $2 million). The High Impact Business Program (HIB) program supports large-scale economic development activities by providing tax incentives (similar to Enterprise Zones) to companies that make substantial capital investments in operations and create or retain an above average number of jobs. Businesses may qualify for: investment tax credits, a state sales tax exemption on building materials and/or utilities, a state sales tax exemption on purchases of personal property used or consumed in the manufacturing process or in the operation of a pollution control facility. Eligible projects must invest a minimum of $12 million and create 500 full-time jobs, or $30 million investment with the retention of 1,500 full-time jobs. Investments must take place at designated locations in Illinois outside of an Enterprise Zone. Project Definition: In order to qualify as an industrial project, the primary use of the land and buildings must be of a manufacturing, assembly, wholesale and/or warehouse/distribution nature. Property Improvements: The applicant must complete permanent property improvements (either an expansion of an existing facility or construction of a new facility). Job Retention or Creation: The project must result in the creation or retention of at least twenty (20) jobs paying a minimum of two times the minimum wage. The created or retained positions must be permanent, full-time or full-time equivalent (FTE) positions created or retained as a result of the project. View the full program policy. AmerenIllinoisSavings.com is a website dedicated to helping Ameren Illinois customers become smarter, safer energy consumers. Find energy efficiency tips, plus access to helpful programs, rebates and cost incentives. Instant Incentives provides a simple and quick way for Ameren Illinois business customers to purchase energy-efficient products and receive an instant discount at the point of purchase online or via participating distributors. This offering provides incentives for LED bulbs, LED tube lighting, LED recessed lighting and Notched v-belts. 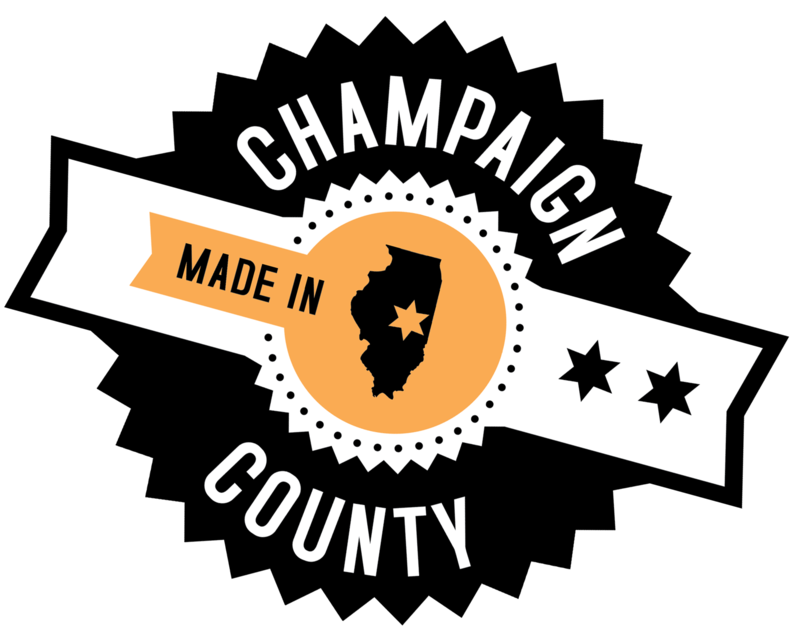 The Champaign County RPC’s Economic Development Division is a central resource for a variety of innovative financing programs for businesses, organizations, and governments in East Central Illinois. View the program summary sheet. These RPC programs offer borrowers flexible terms, affordable interest rates, long-term fixed-rate financing, lower down-payment requirements, and reduced private-lender risk. RPC staff analyzes and structures the most attractive financing proposal based upon program requirements, project needs, employment, community impact, and private sector participation. The SBA’s Historically Underutilized Business Zones (HUBZone) program helps small businesses in urban and rural communities gain preferential access to federal procurement opportunities. These preferences go to small businesses that obtain HUBZone certification in part by employing staff who live in a HUBZone. The company must also maintain a “principal office” in one of these specially designated areas. The Eastern Illinois Economic Development Authority (EIEDA) can issue bonds on behalf of businesses in which debt service is payable exclusively from the earnings of the borrower.